The influence of football and Trump: What do Mexicans now think of Russia? Until recently, Mexicans had little idea of what Russia is about, and Uncle Sam was heavily influencing their opinion. But the World Cup and degrading U.S. policies have done more for relations between Mexico and Russia than years of diplomacy could have. Uber is new in Mexico City, but it’s already the cheapest and safest way to get around. I’ve had some issues with the WiFi connection at the airport, but finally managed to find the car. My driver is a young and curious guy, Carlos. Luckily for me he speaks English fluently, and within a few minutes he tells me his life story. Carlos is married with two kids and lives in one of the city’s high-crime areas. “Bad people don’t touch me because we grew up together,” he explained. In fact, Russians used to scare him more than his own dangerous neighbors. 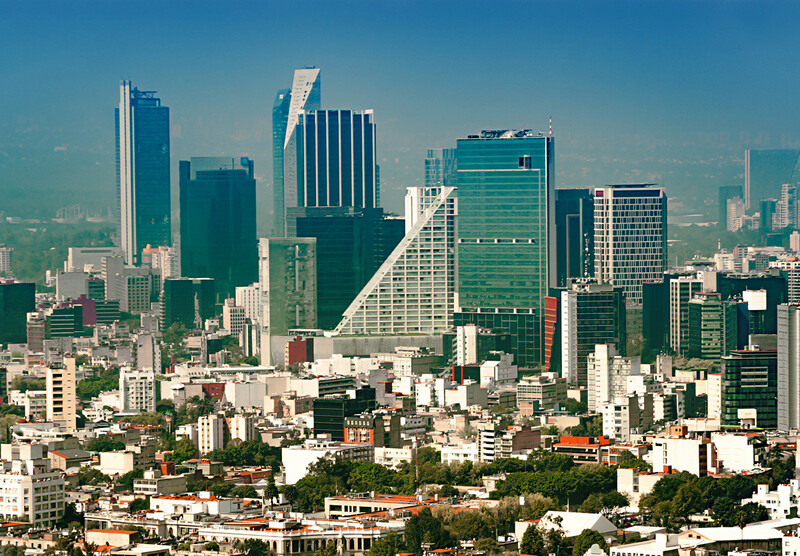 Russia has had an impact on the local culture: over 100 streets in Mexico City are named after Russian writers, composers, poets, cosmonauts, as well as regions such as Siberia, and even Leon Trotsky, the revolutionary who was killed here. But, like most ordinary Mexicans, Carlos has an opinion of Russians that was formed by Hollywood films, where big angry guys with the massive jaws are killing each other in the snow. As portrayed by the American media, Russia seems to be a country of doom and gloom. 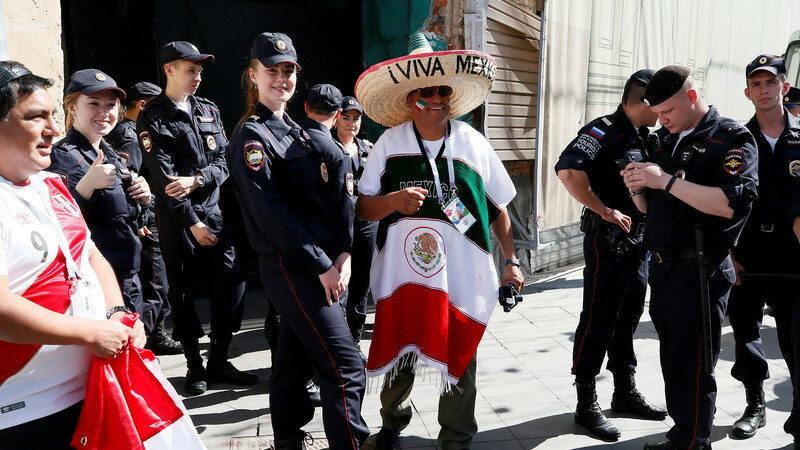 Supporters of the Mexican and Peruvian national teams, participants of the World Cup, and Russian police officers in central Moscow, Russia, June 15, 2018. There are strong cultural differences between the two nations, separated by more than 10,000 kilometers (6,347 miles). “We are not as friendly on the surface as Mexicans, but we are as warm as they are. That’s just not obvious right away,” said Elena, the owner of a small restaurant serving Russian salads, pancakes and other dishes in the prestigious Condesa area. 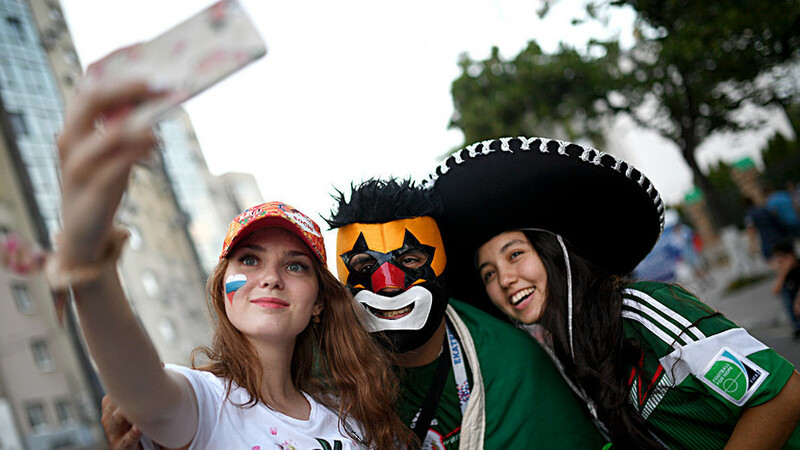 According to Elena, there was an anti-Russian campaign on Mexican social networks right before the World Cup. America - no longer a desirable destination? I stayed in Juarez, one of the most touristic areas in Mexico City where the U.S. embassy is located. It’s easy to identify because of the huge crowd of people waiting outside. 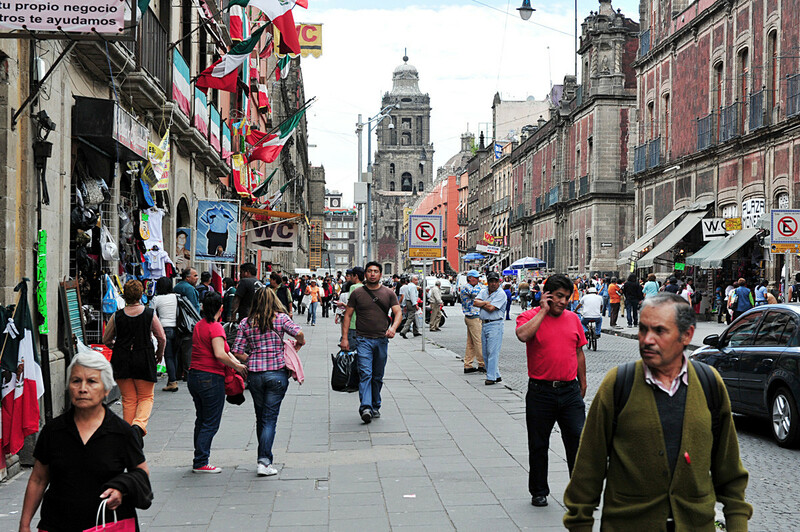 For years, America has been one of the most desirable destinations for Mexicans. Migrant workers still want to go to the U.S., but it seems that the mood of those who are educated and young is changing. Mariana, an aspiring artist and a curator at an art gallery in Juarez, obtained her MA at Columbia University. She is planning to go back to New York, but only to “tell a story” from the Mexican perspective. Mariana thinks relationship between two countries deteriorated under Donald Trump, and she reflects on this in her art. At least in their minds, Mexicans feel more independent. Of course, this doesn’t mean that by falling out of love with the U.S., Mexico will rush into a closer relationship with Russia. Mexicans, however, are now thinking beyond the U.S. and open to exploring opportunities in other countries. “We used to live off oil and remesas, which is the money that Mexicans were sending home from the U.S.; but now our tech sector is growing and the food industry is picking up,” said Alan, a young startup founder. A few years ago he participated in a contest organized by a local magazine and met Steve Wozniak, Apple’s co-founder. Alan was thinking of entering a U.S. accelerator and moving his company to Silicon Valley, but he changed his mind after the elections. What will foreign football fans take home from Russia?